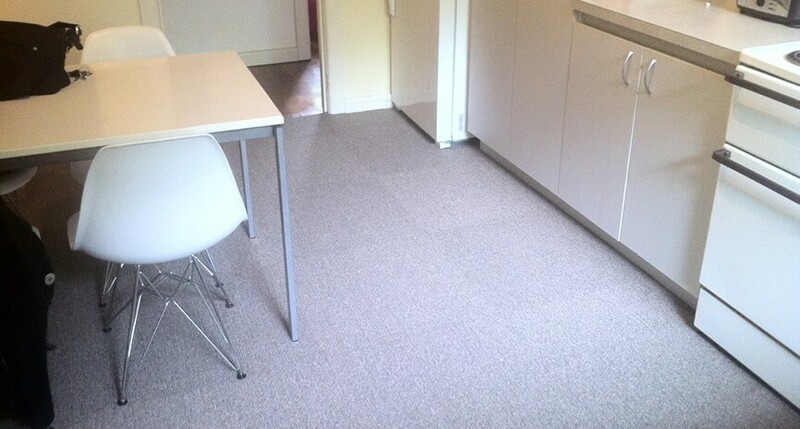 Domestic Carpet Tiles are the perfect choice when looking for a comfortable floor covering in the kitchen. The best kitchen carpet tiles are made from polypropylene as they are stain resistant so any spills can be easily cleaned with a damp cloth. Most customers opt for a loop pile construction which is a good all round general purpose carpet tile for domestic use. A low level loop carpet tile is quick to vacuum making for easy maintenance but is also high on performance. A flecked carpet tile will keep the kitchen floor looking cleaner for longer as the speckles either random or patterned are specially designed to hide soiling. If you have pets and need a more robust carpet tile then our hobnail carpet tiles will be ideal in this kind of situation. They are still manufactured using the same polypropylene fibre but constructed differently with an open grain pile. Customers with pets often mention that they have tried using loop pile tiles before but claws tend to get caught in the loop pulling out the thread from the tile backing. 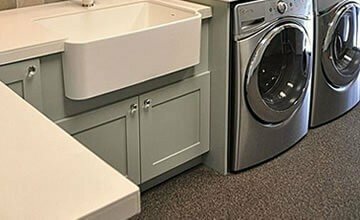 An open grain tile like the hobnail will not only help to solve this problem but any dirt or mud will just sit and dry on top of the pile waiting to be hoovered whereas the loop pile carpet tiles tend to get clogged due to the close knit nature of the pile. You can also take this type of carpet tile outside and clean with a hose pipe and then stand the tile up for a day on end to drain any water left trapped on the pile and replace. Remember you can always ask for our carpet tile samples before making a decision and we hold a wide and varied choice of colours to match in with any interior/décor.